Savannah has three critical nursing roles: certified nursing assistant (CNA), licensed practical nurse (LPN), and registered nurse (RN). While all nurses provide bedside care, CNAs specialize in these quality-of-life tasks, like helping sick and elderly patients to bathe and eat. LPNs enjoy a broader range of direct medical responsibilities, including measuring and recording vital signs, dressing wounds, and preparing injections. RNs often supervise more junior nursing professionals. They are also responsible for the overall care of patients and frequently advise patients and their family members. One can become a CNA by completing a brief certificate program which typically spans just eight to ten weeks. Prelicensure certificate programs for LPNs run much longer, usually requiring 12 to 18 months of study. LPN graduates must also pass the NCLEX-PN national exam. Aspiring RNs have several pathways from which to choose, including a two-year associate's degree in nursing (ADN), a four-year bachelor of science in nursing (BSN), and a direct-entry master of science in nursing (MSN). Regardless of pathway, RN graduates must pass the NCLEX-RN national exam before practicing. Savannah’s nursing professionals can be optimistic about job prospects, with numerous local employers like Aetna and Memorial Health seeking a range of nursing professionals. Nurses with more extensive education earn higher pay. For example, Savannah’s CNAs earn $22,000 per year on average, while its LPNs receive about $38,000 annually. Registered nurses earn the most of the three roles, taking home $59,000 on average in a year. 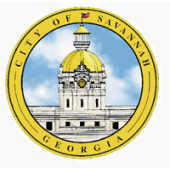 To help Savannah’s aspiring nurses make an informed decision, we have compiled below a thorough list of accredited nursing schools and programs throughout the city.